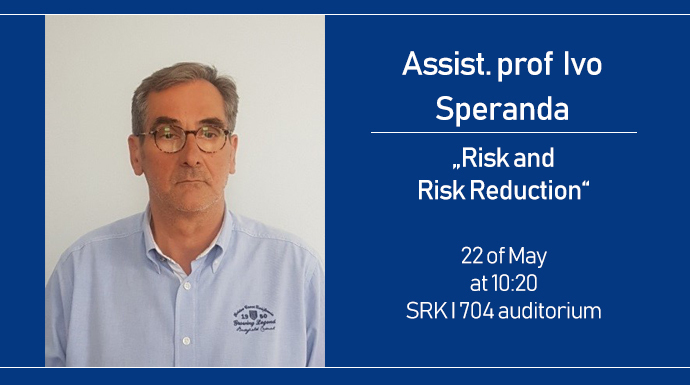 22 of May at 10:20, the auditorium SRK I 704, Department of Economics Engineering invitation will be lecture, which will read Assist. prof Ivo Speranda from University of Dubrovnik. His academic research work is focused on the problems of international business, valuating, competitiveness and possibilities of risk decrease in the globalise economy. The title of the lecture – Risk and Risk Reduction. We kindly invite everyone to participate.